Open Die Forging and Cogging – Forge Technology, Inc.
QForm allows a wide range of features for effective simulation of open die forging. You can easily determine loads required for forming as well as when and if reheating will be required. Simulation allows you to see microstructure evolution and void closure though the forging process. Cogging operations are simple to set up and allow the use of separate top and bottom dies. A cogging operation can be set up in a single action with the movement and rotation of the billet entered in a simple table that also accounts for the cooling of the billet between blows and while resting on the bottom die. The billet can be held in place by a simulated manipulator that moves relative to either die or with a downward speed equal to half the speed of the top die. The manipulator can be set up to allow for axial movement as the material is compressed. Load prediction is very accurate for both direct drive hydraulic presses or hydraulic presses with accumulators. 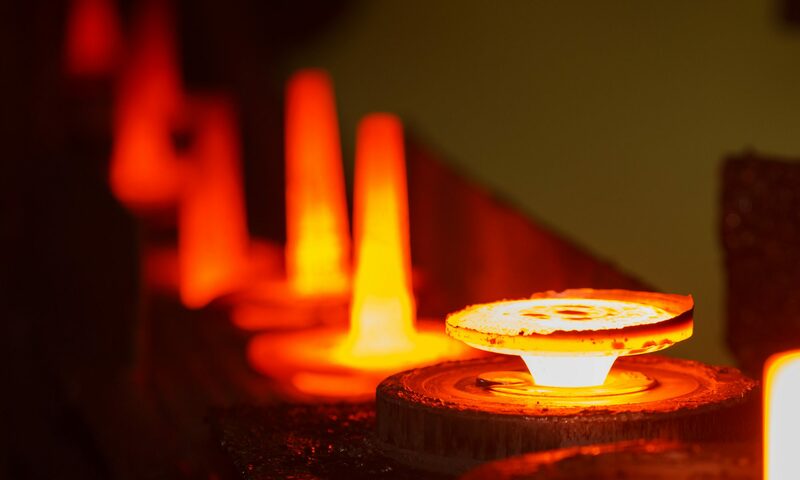 The ingot can be imported from programs such as ProCast which makes it possible to run the forging simulation based on the inherited characteristics of the casting simulation. This makes it possible to see voids, temperature, stress, plastic strain fields and ingot density throughout the casting and subsequent forging and heat treat process.